Termites are among the most common pest species found in most areas. Termites are extremely damaging, especially to wood. They can weaken your structures eventually destroying it resulting in huge losses. What makes it harder to control termites is the fact that they are naturally well organized. This means they can easily find their way into any given structure without its construction being much of a hindrance. Their minute size also allows them to fit into areas you wouldn’t think they could. Termites are usually after cellulose found in books, newspaper, drywalls and wood among other items as long as they are produced from by-products of wood. Undetected termites will have an easy time moving fast on your propriety and severely damaging it. Fortunately, all is not lost because there are very effective termite control services. The services offer different termite control methods most suitable for your setting to give you good results. Treatment can depend on the conditions in your area as well as the company you choose to handle the control for you. Toro Pest Management is the best company you can choose for these little destructive pests. We have intensive experience in pest control and understand just how to deal with termites effectively on your behalf. We also take priority in getting familiar with the latest termite-fighting technologies to ensure that all your valuables are kept protected. We believe your property is your greatest investment and so it deserves to be protected whatever the means. Termites can be hard to see and so is the damage they cause. You are likely to notice the damage when it is already extensive. The fact is that termite structure damage costs are higher in the U.S than the costs incurred by tornadoes, hurricanes and fires. It is important to have termites eliminated in the most effective way to keep such damages at bay. What Toro will do for you? Toro Pest Management will start by conducting an inspection on your property. This is very important since it helps us evaluate the situation, the extent of the damage and infestation hence guiding us through the best termite control methods to use. Our termite control costs are very affordable but will be determined by the real situation at hand and what is needed to be done to leave your space safe from the termites. We use integrated pest management approaches to make sure that we eliminate the termites getting to the root areas causing the infestations. 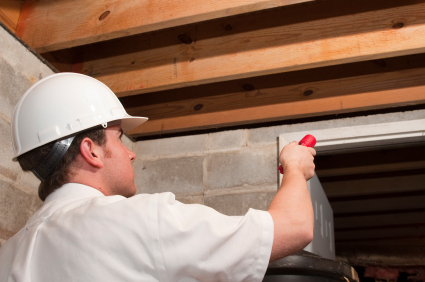 We offer termite prevention services to make sure that they don’t come back. Toro offers you a guarantee with services offered. If we are not able to eliminate the pests in the first trial, we will definitely come back and offer other solutions at no extra cost. We will send a termite supervisor as soon as you get in touch with us to conduct a free inspection of the property whether business or home. Termite location surveys are then done and damage areas identified. We will eliminate all conditions conducive to termite activity and customize our control plan and prevention plan to suit needs that are specific to your property.